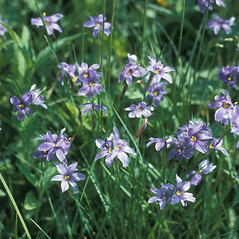 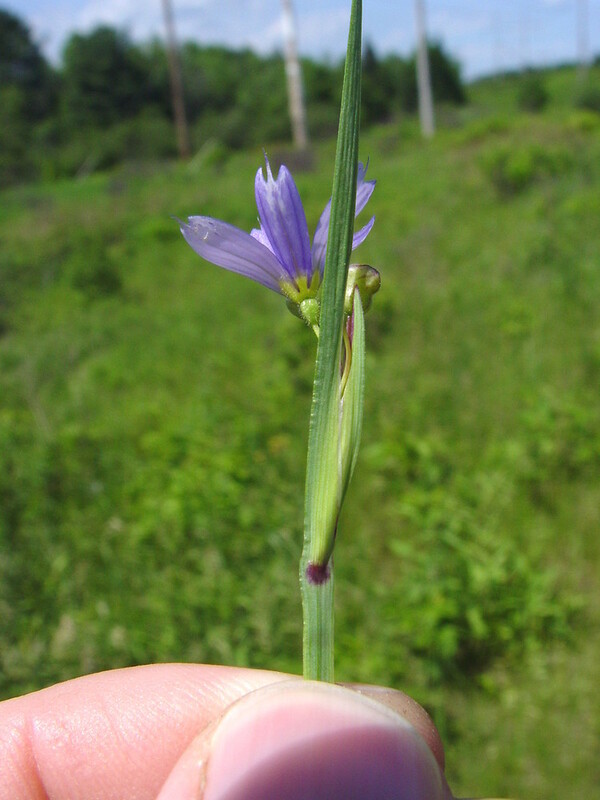 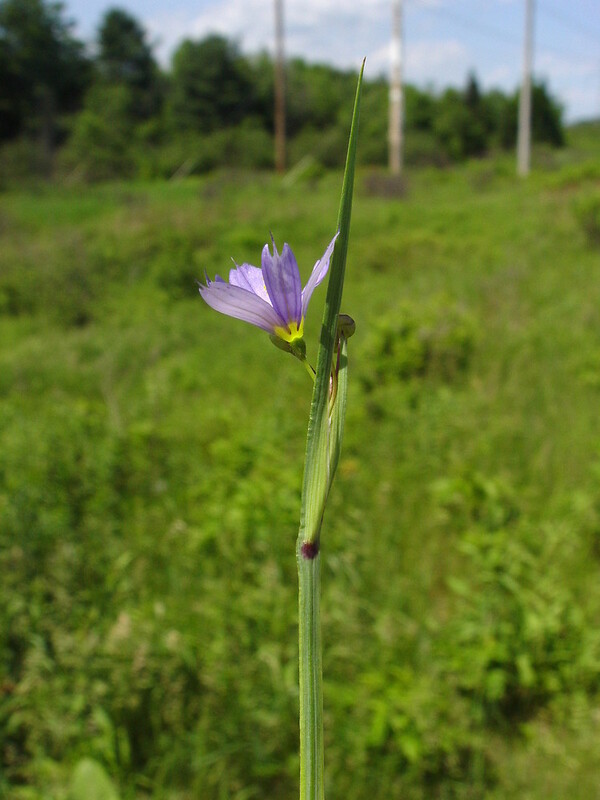 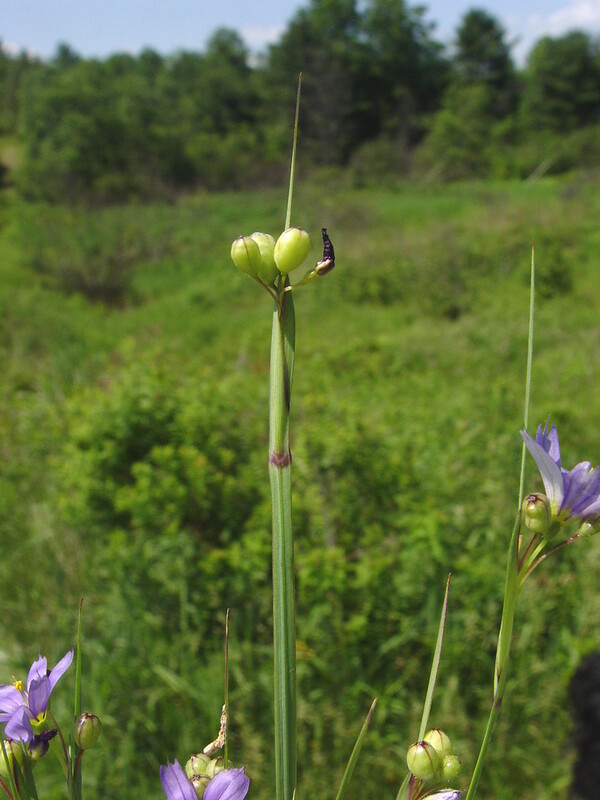 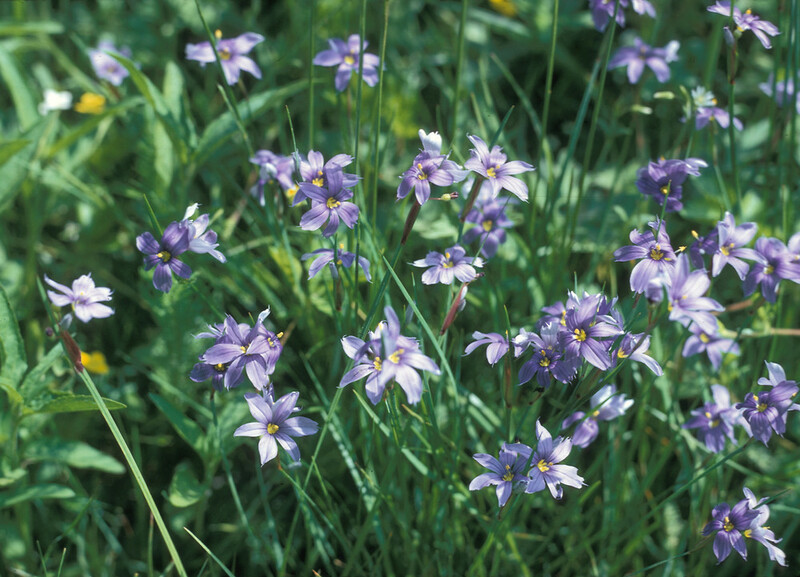 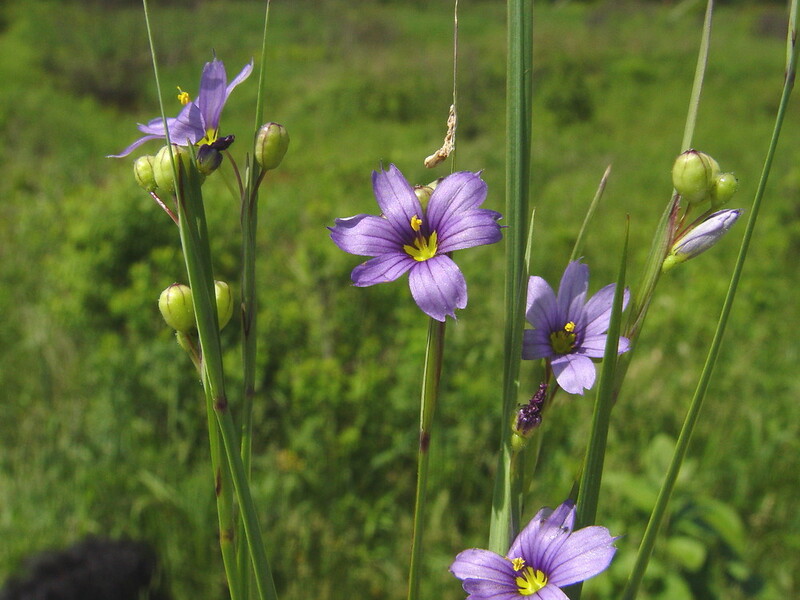 Needle-tipped blue-eyed-grass has a somewhat unusual distribution, on the East Coast and through New England and west across Ontario to central Canada and North Dakota. 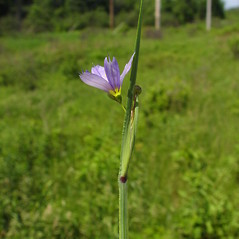 In New England it is rare in most states, inhabiting fields, meadows, shorelines and forest edges. 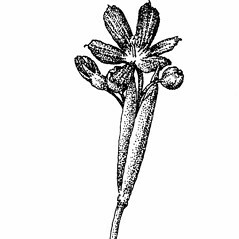 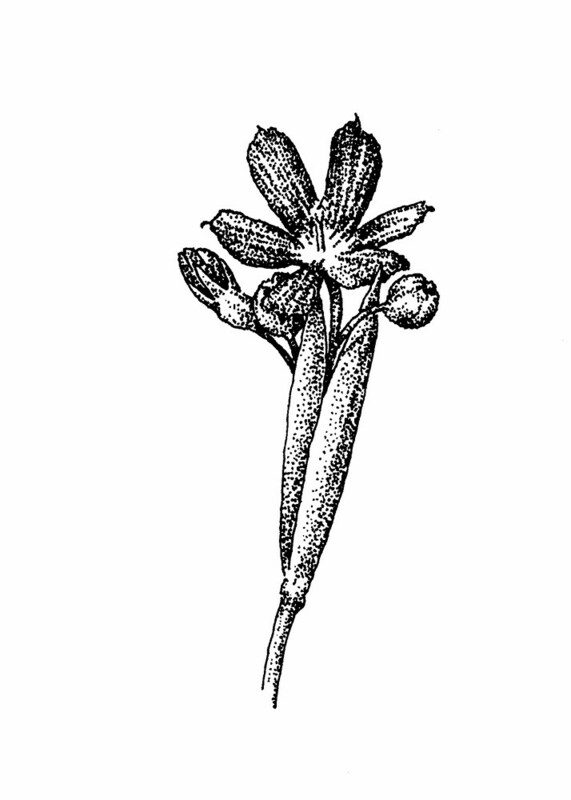 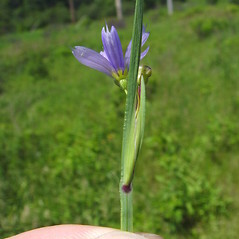 It has narrow stems with faint wing margins, and sessile, usually solitary inflorescences at the stem apex. 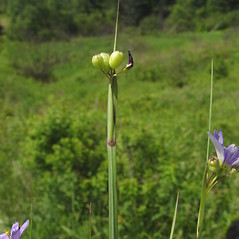 stems mostly 2-3.7 mm wide and with a conspicuous wing-margin (vs. S. mucronatum, with stems mostly 0.9-1.5 mm wide and with a narrow wing margin). 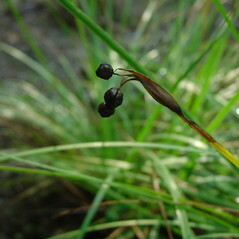 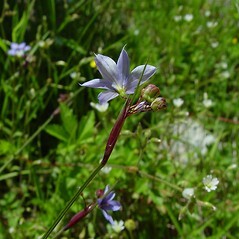 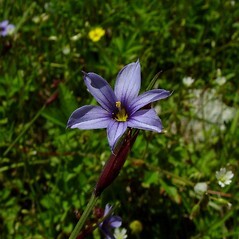 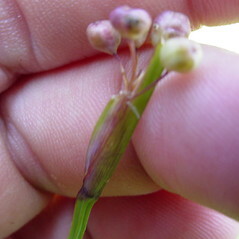 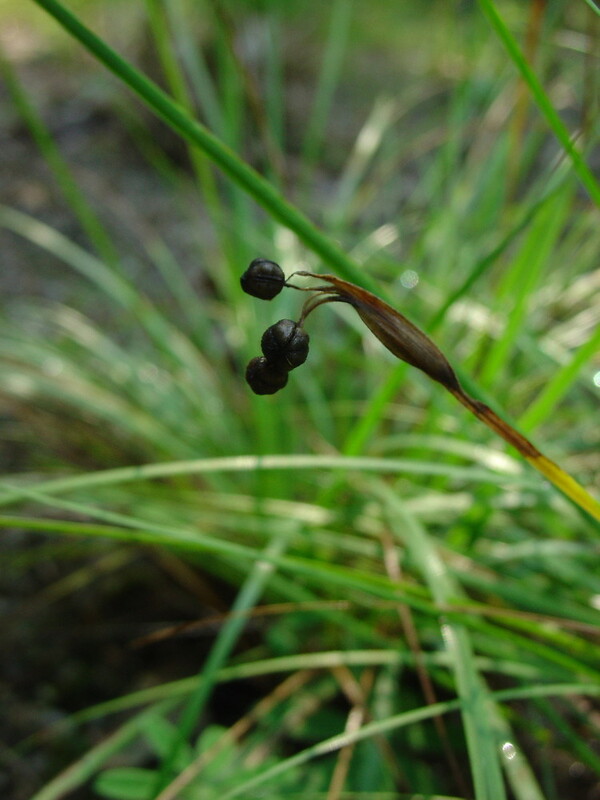 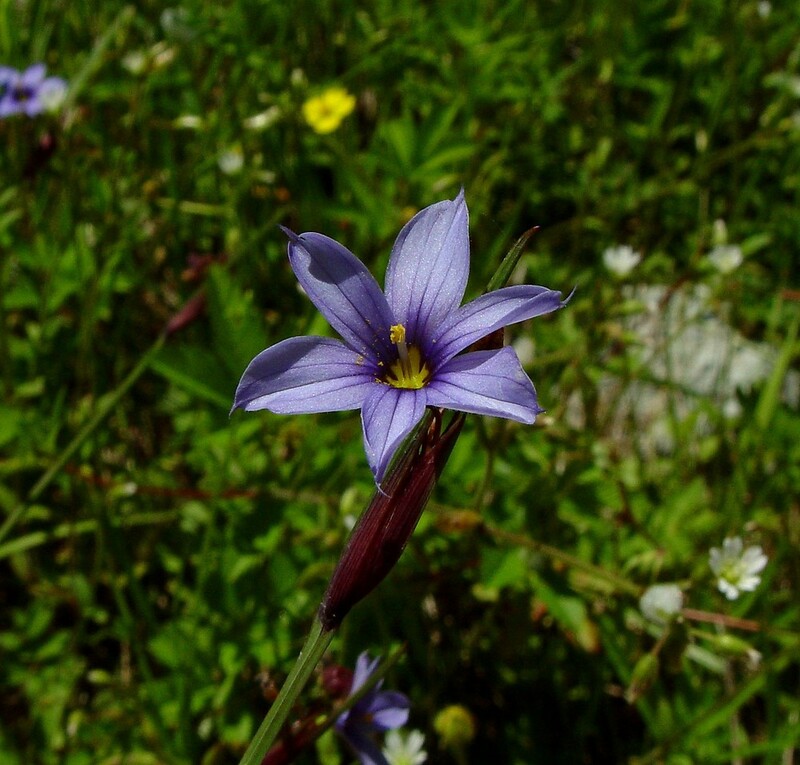 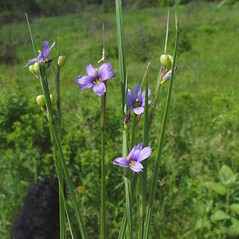 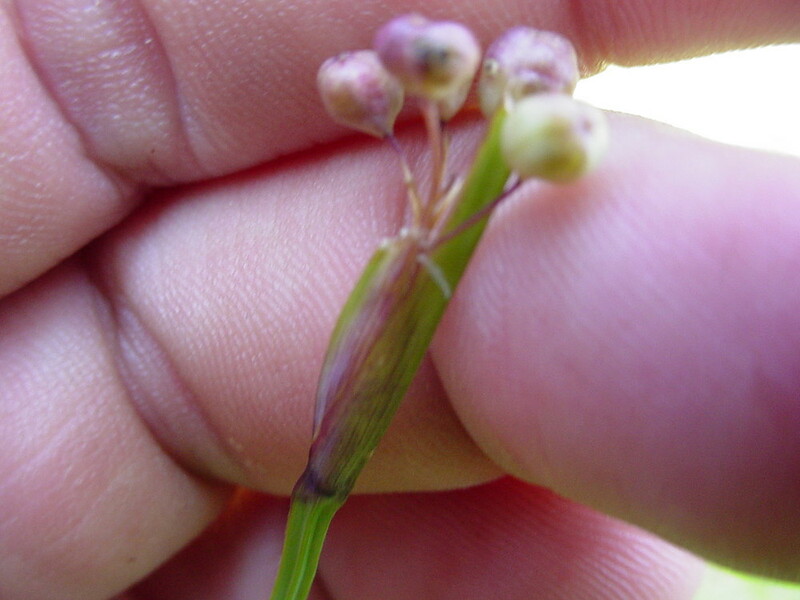 needle-tipped blue-eyed-grass. 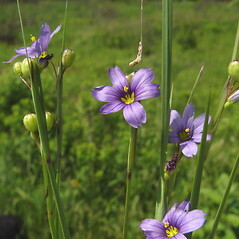 Sisyrinchium intermedium Bickn. 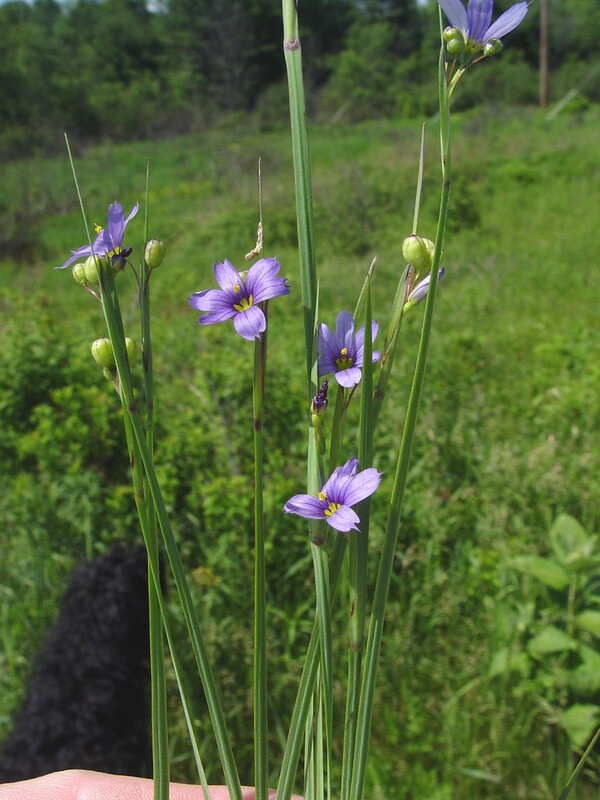 • CT, MA, ME, NH, RI, VT. Fields, meadows, open shorelines, forest edges.